Shoppers can find fabric, drapery panels, and rugs, as well as lamps and accessories in Brentwood, a distinct shopping district in its own right. Just off I-65, you’ll find a great selection of inspiring items for your home. C’est Moi is a boutique of home furnishings and local artwork is the area purveyor for Annie Sloan Chalk Paint and offers a wide range of bedding, Dash & Albert rugs, accessories, and candles, as well as found and repurposed objects. In addition to a complete selection of supplies for painting furniture and objects, the shop offers painting workshops. 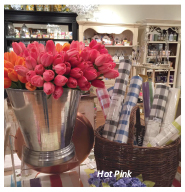 Hot Pink features all kinds of seasonal decor and colorful items from pastel to bright. You’ll find personalized gifts including monogrammed bath towels and other items, as well as interesting accents for tables, desks, and your entire house. From upscale bedding and linens to and candles and decorative table accessories. Maxi B. 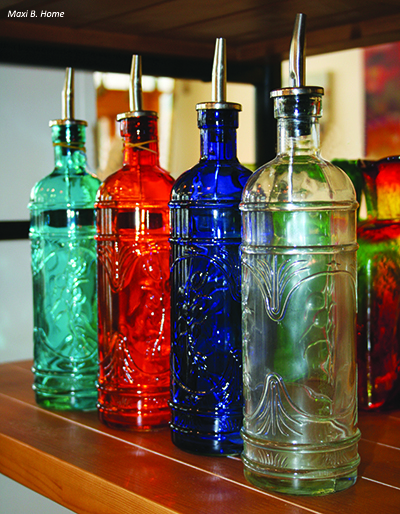 Home features a variety of gift items, tableware, home accessories, art and more. Named for Maxine, the 86-year-old mother of the store’s founder, the store is designed to be a fresh, colorful, and happy place to find unique, affordable home goods. Visitors will find furniture, farmhouse-meets-glitz lighting fixtures, and rugs, as well as candles, funky cocktail napkins, and bohemian patterned melamine dinnerware. Many items are 100 percent cotton, washable, and able to handle the wear and tear that comes with living. Spruce offers a convenient place to shop for quality home decor, furniture, art, and gifts. Designed as a shopping destination for those seeking unusual products from candles to signature pieces of furniture, while shopping in a relaxing and warm environment. Whether you are looking for the perfect gift, accessory, signature piece of upholstered furniture or table, or art for your home, check out Spruce. Spruce also provides design services to clients on an hourly basis. Mignon’s is a combination of timeless, vintage, one-of-a-kind finds for gifts and home. Expressive of its shoppers’ personalities, this shop is just fun. You’ll enjoy the custom painted furniture, wistful treasures, and pieces that speak to their Nashville heritage. Mixed in you’ll find jewelry, accessories, and more. The Snooty Fox features a broad array of home accessories, furnishings, original art, and lamps, and prides itself on providing a fresh take on interior decorating. 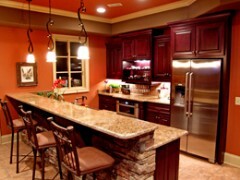 Why restrict your decor to a bland palate when you can get a warm, inviting look that truly reflects your personality? The Snooty Fox offers a delectable selection of fine furnishings ranging from upholstered pieces and case goods to art and mirrors. You’ll find a selection of lamps and home accessories, and tucked in and around the space, you’ll find references to the store’s namesake. the fox. For help in integrating those special pieces into your home, the shop offers interior decorator services and can help distill your aesthetic into a coherent style. Brentwood Interiors, which was founded over 50 years ago as The Salvage Store in Downtown Nashville, carries everything for home decorating. 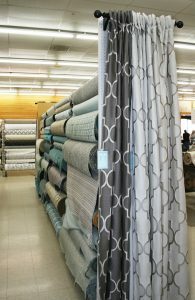 Decorator fabrics and trim, drapery panels, drapery rods and hardware, pillows, rugs, lamps, furniture, mirrors, art, and more are available at Brentwood Interiors. A design staff with years of experience is available to help you with your selections of fabric and rugs and home decor items. Brentwood Interiors has a wide variety of the latest patterns and colors of fabrics available in designer choices to keep you up to date with the hottest trends. They also have ready made panels to take home with you in case you don’t have a way to sew them yourself or a workroom. No matter what your decorating needs are, this shop is bound to offer what you need. Known for its low prices and great selection, this store also offers outstanding customer service. 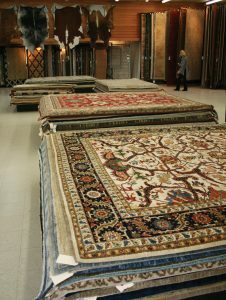 They have a full selection of area rugs in styles from traditional to modern and transitional in a wide variety of sizes on hand for you to take home with you no need to order and wait for shipping. It’s your one-stop shop for Fabric and soft goods in the Nashville area. Vignette features carefully crafted collections for the home, body, and soul. A richly layered, visually aesthetic lifestyle boutique on the roundabout, Vignette includes an eclectic selection of home goods, textiles, art, gifts, jewelry, and apparel. The store incorporates vintage, faith-based, natural, and artistic elements and takes as its mission making homes into havens. Spread over two floors, Vignette displays its wares in a creative, lush environment. From the quotes on the stairs and walls to the dedicated staff, Vignette embodies all things positive and uplifting. NOTE: Many small shops are closed on Monday. Please call ahead to verify hours, etc.